Being busy with your job and life can took toll on your looks just like restaurateur, Ms. Castrillo's life. 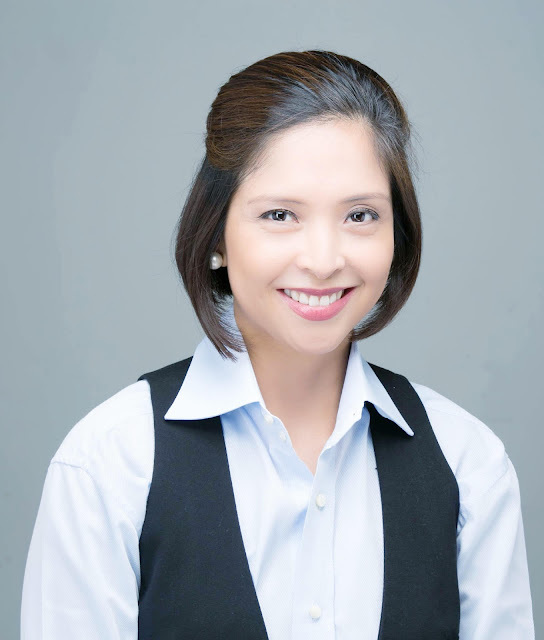 With her core competence in the culinary arena, she worked as kitchen manager and part owner of Tequila Joe's Alabang from the year 2000 to 2003; then she was part owner of the Good Earth Resturant until 2008 and is now part owner of Prime 101 restaurant. She discovered Up&Up and decided to build a business around it. Because everyone has their own stresses and she wanted to offer a safe, effective, affordable and non-invasive option to the cosmetic procedures available. Her newest endeavor, Riantique Global Inc. is a company she founded in January to provide quality skin care, health and beauty products. The firm is engaged in the business of importing and distributing cosmetic, skin care, medical, and pharmaceutical products including food supplements on a wholesale or retail basis. The Riatique mission and vision are committed to empowering you to become a self starter when it comes to your own personal improvement by providing you with safe, affordable, and innovative products that enhance and restore timeless beauty. Her company’s flagship offering, Up&Up Skin Lifting Serum by Yuyu Healthcare Inc., is a non-surgical solution for enhancing beauty and restoring the skin’s youthful glow in an instant. Riantique is the exclusive distributor of Yuyu Healthcare products in the Philippines. According to Castrillo, Up&Up is a revolutionary new concept in skin rejuvenation from Korea that provides a safe, affordable and non-surgical solution to skin problems associated with aging like sagging eyelids, eyebags, inelastic cheeks, crow's feet, enlarged pores and hidden neckline. This product was specifically formulated to revitalize damaged skin by regenerating elasticity and repairing wrinkled skin while whitening. She added that Up&Up quickly penetrates skin to improve elasticity; visibly lifts skin, smooths its surface, fills up wrinkles, reduces pore size and regenerates collagen and elastin. Up&Up is easy to use, simply combine two ready-to-mix formulas into a gel-like mixture one can apply to the face and neck. According to her experience, the tightening effect signals the process of skin rejuvenation. This product does not contain any parabens, mineral oil, triethanolamine or other harmful chemicals, it contains no artificial coloring and even people with skin allergies will be able to use it. In fact, it has been proven safe to use on all skin types by Sae Myung Herbal Biology Industrial Clinic. Riatique is also doing its due dilligence in having Food and Drug Authority test Up&Up to confirm that it is safe to use.